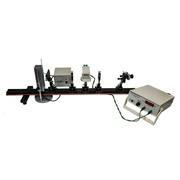 Comprehensive set of equipment with built in He-Ne laser. 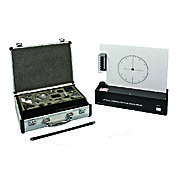 Top quality optical glass components allow over 75 experiments in geometric and physical optics. This product has a 90 day lead time. Market standard for this type of product. 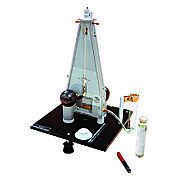 Display version of the Foucault 1851 experiment to demonstrate the Earth's rotation. 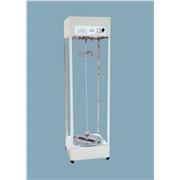 The 57" high unit contains a maintained pendulum whose precession rate can also be used to calculate latitude or time. This product has a 90 day lead time. Market standard for this type of product. 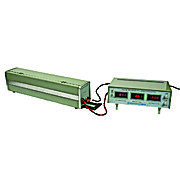 Reliable and dramatic demonstration of the magnetic force between two current-carrying parallel conductors. 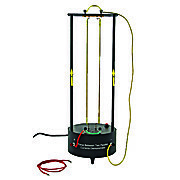 Safely applies a large current to two pivoting brass tubes. Fuse protected. This product has a 90 day lead time. Market standard for this type of product. 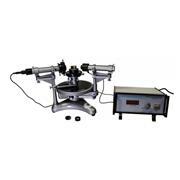 High precision interferometer with interchangeable optics for Michelson or Fabry-Perot setups. 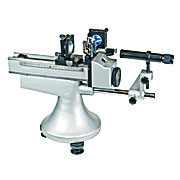 200 MM precision geared lead screw for fine adjustment. This product has a 90 day lead time. Market standard for this type of product. 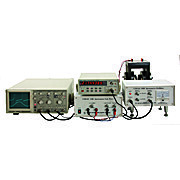 Set of equipment used for observing the excitation transitions of electrons in Argon. 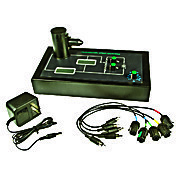 Compact unit includes Argon tube, power supplies, and amplifier in one box. 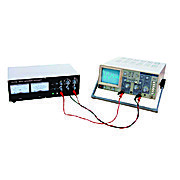 Oscilloscope required. This product has a 90 day lead time. Market standard for this type of product. 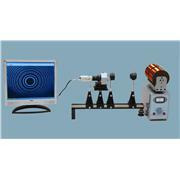 Comprehensive equipment set for studying the electric and magnetic properties of an electron beam. 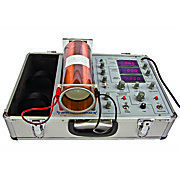 CRT tube, power supplies, and deflection coils are housed in a compact case. Allows e/m to be measured. This product has a 90 day lead time. Market standard for this type of product. 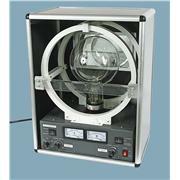 Precision apparatus for measuring Planck's Constant includes a mercury discharge lamp, vacuum photocell, set of mercury-line interference filters, and control unit. 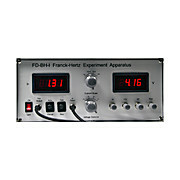 High quality amplifier yields results for h to better than 3%. This product has a 90 day lead time. Market standard for this type of product. 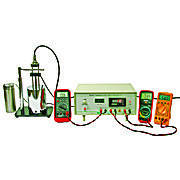 Set of equipment for studying the photo-emission of a mixed alkali photocathode. 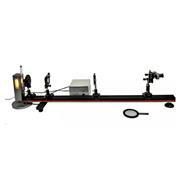 Precise , stable illumination and bias control for excellent results. This product has a 90 day lead time. Market standard for this type of product. 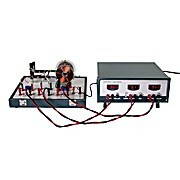 This apparatus allows the thermal behavior of a resistor, thermistor, and thermocouple to be studied, as well as a closed loop control system. This product has a 90 day lead time. Market standard for this type of product.